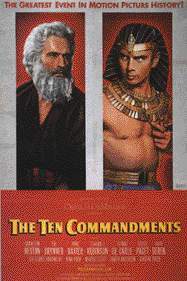 When one thinks about Egypt, it is often based on images and information provided by the media, including motion pictures. The expensive and lavish 1963 film Cleopatra staring Elizabeth Taylor, Richard Burton and Rex Harrison set the tone and images that people would think of when they would think of such people as Caesar or Cleopatra and of such places as Rome or Egypt. 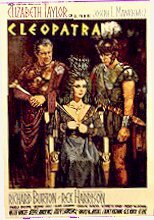 Another such film would be the 1946 Caesar and Cleopatra staring Vivian Leigh as the lovely Cleopatra. This was an English film which also starred Steward Granger and Claude Raines. The 1934 movie of Cleopatra starring Claudette Colbert was really the first of the Cleopatra movies to establish what the public would come to think of, and imagine, when one would think of Cleopatra. This was a film by the famous director Cecil B. DeMille and this would not be the only film this famous director would make about events from the past. 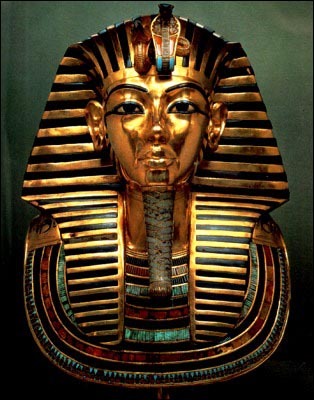 Of course, the most striking images that came to the attention of the public, were that the artifacts that came from the magnificent tomb of Pharaoh Tutankhamun that was discovered in 1922 by Howard Carter. To learn about Egypt, from the past Egypt has had, to what has been discovered, just click on About Egypt.